The annual festive adverts have started and mince pies are now on display in every supermarket aisle. We know that Christmas can be an expensive and stressful time of the year. 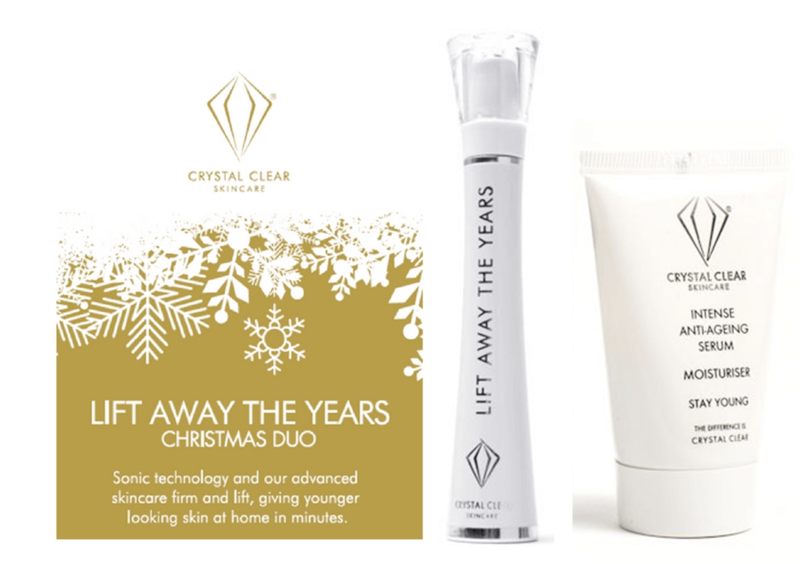 We’ve saved the day and decided to put a magical gift pack together, featuring our Lift Away The Years Applicator, Intense Anti-Ageing Serum and all wrapped up in a deluxe gold Christmas box. And for an extra sprinkle of festive sparkle, we’ve taken an amazing £20 off the RRP! What does our magical wand do? Lift Away The Years harnesses revolutionary sonic technology to firm and smooth the skin, whilst giving an instant lift. This sonic technology works with the specially engingeered Intense Anti-Ageing Serum, helping to diminish wrinkles and fine lines, hydrate and firm. 1. Syn-Ake works in a similar way to Botox to relax the muscles which create wrinkles. But unlike Botox, there are no unwanted side effects or downtime. The results are the same, lines and wrinkles are smoothed! 2. Bio-peptide CL is a hero in our eyes. It actively restores the dermal matrix, firming and smoothing skin. 3. Tourmaline (precious stone extract) helps to give skin a lit-from-within glow. It will really brighten up somebody’s Christmas! At just £39.99 beautiful skin doesn’t have to break the bank this Christmas.